The first Pacific Rim capitalized on our innate desire to watch huge robots fight even bigger monsters, and Pacific Rim: Uprising sets out to appeal to those familiar desires. 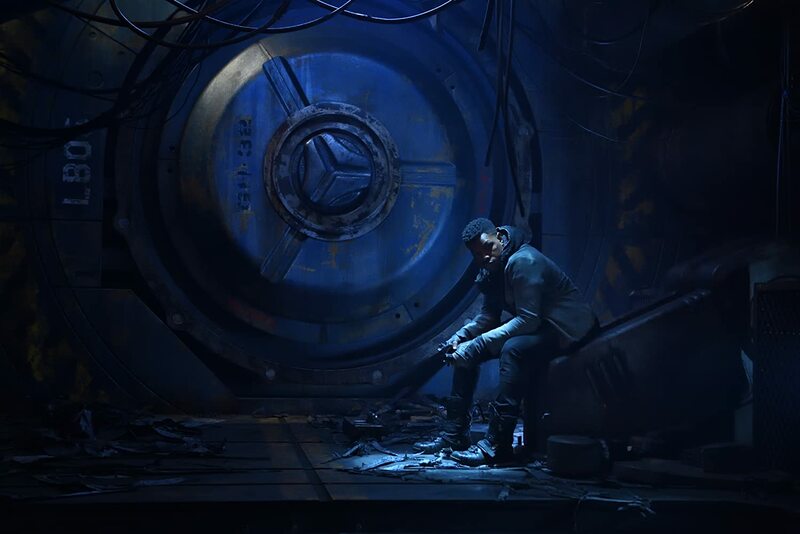 The story centers around Jake Pentecost (John Boyega), son of legendary Jaeger pilot Stacker Pentecost (Idris Elba). He was the top recruit on the Jaeger training program until he succumbed to the lure of the criminal underworld. Jake then receives a plea from his estranged sister Mako Mori (Rinko Kikuchi) to train a new class of Jaeger pilots for the same program he abandoned years ago. As the new generation is training, a new breed of Kaiju are finding their way to Earth and wreaking havoc. The new and old generations are put to the test once a threat greater than them confronts the security of the entire planet, and it is up to Jake and his crew to save the world. If that description sounded cookie-cutter action movie, it’s because it is. Yet this familiar formula doesn’t seem to fail Pacific Rim: Uprising. I found that I was enjoying myself the entire time. The action is awesome, the story is fun, and overall it is a very put together blockbuster. Since the first film was directed by The Shape of Water director Guillermo Del Toro (He serves as a producer this time around), I expected a dip in quality going into a sequel. Especially since the concept for the blockbuster sounds like my dream movie at 10 years old. While I can’t say that the sequel is as good as the original, Pacific Rim: Uprising was a worthy follow-up that was honestly entertaining. Besides directing a few action TV episodes, Steven S. DeKnight is new to directing. While Pacific Rim: Uprising is not the work of an auteur, DeKnight does a great job directed a $150 million dollar movie right out of the gate. The filmmaking takes inspiration from the works of Michael Bay, and it’d be fair to say that it worked out at the end of the day for Pacific Rim: Uprising. The wide angles, the crazy zooms, even the characters feel straight out of a Bay blockbuster. The direction doesn’t take itself to seriously, and it doesn’t have to. It’s a sequel to a movie where Kaiju and robots fight, it’s not going to be the next work of art. I’d sit back and let the fun of the film take over you, it’s the best way to watch it. It was great to see John Boyega head another franchise. He adds a lot of charm that will please people hoping to see a little bit of Finn in his performance. His interactions with other characters, however, is a little corny. The script is where the cookie-cutter factor really kicks in. Nate Lambert (Scott Eastwood) and Jake are co-pilots to the same Jaeger, and their interactions can be really dull. A lot of cliches, petty arguments, and griping about the past make the film a little less interesting. If the dynamic between the partners (and even the Jaeger students) were better, Pacific Rim: Uprising would be an incredible film. Unfouranteley, the characters are flat and it makes most of the character exchanges throughout the film pretty bland.